Bell peppers come in a range of hues, from fresh greens to vibrant reds. 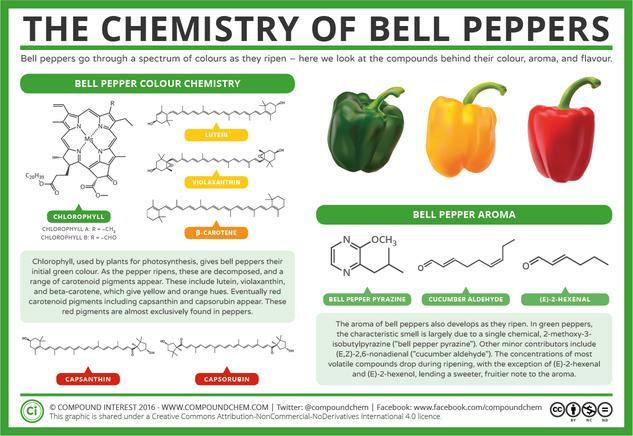 Chemical pigments are behind these, but what changes to cause peppers to travel through this spectrum of colours? 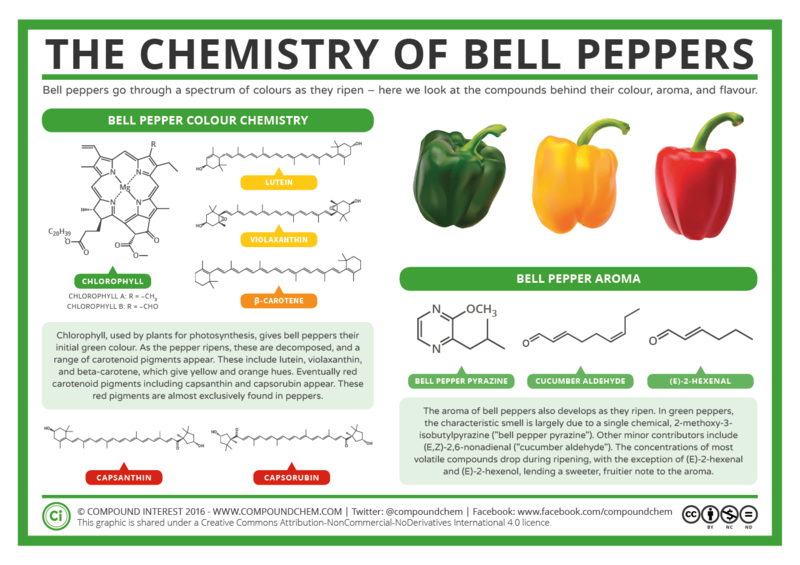 Here we take a look at the compounds behind the colours (as well as some pepper aroma chemistry) – and find that peppers have some extraordinary chemistry to thank for some of their hues.